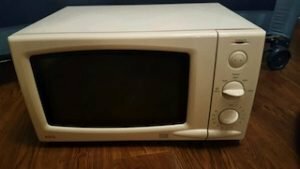 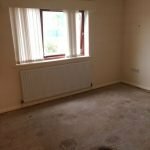 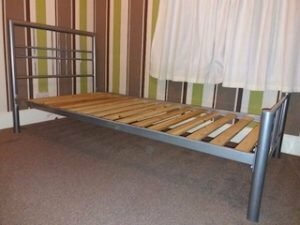 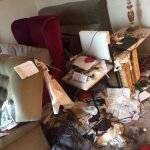 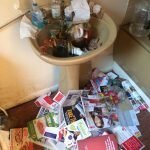 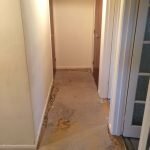 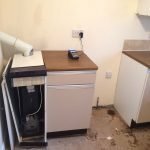 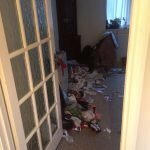 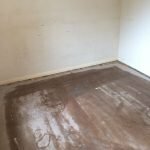 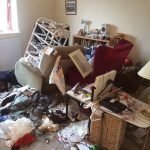 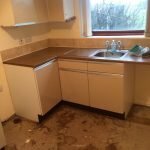 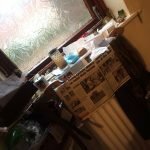 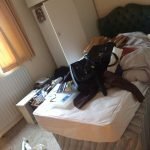 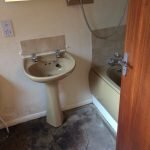 House Clearance Service In Thurnscoe Goldthorpe Clayton Great Houghton Hickleton Stotfold. 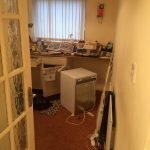 As well as clearing the usual furniture these small items will also need clearing – A pair of brand new brass based table lamps with gold rimmed white shades, A pair of small porcelain Miss Etoile black cake stands, A brand new purple Dunelm fitted bed sheet, A carnival electric hot air popcorn maker in box, A Phillips Hue GU10 extension bulb, A Vinturi red wine aerator gift set, A small single light cream shabby chic chandelier, A large cast iron framed arch window mirror 1540×930, A Next red, brown and cream 150x82cm area rug. 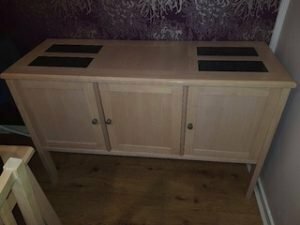 A large beechwood and black glass inlaid sideboard, having a double cupboard aside a single cupboard. 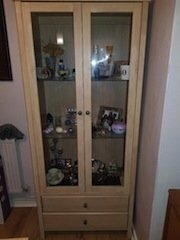 A large lightwood and glass inlaid one drawer display cabinet, with various ornaments. 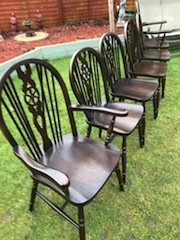 A set of six vintage mahogany curved back farmhouse style dining chairs. 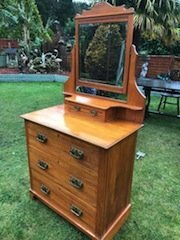 A vintage solid pine dressing table, having a swing mirror above one small and three large drawers. 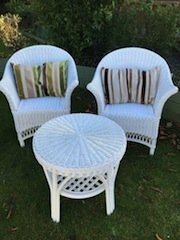 A three piece white wicker conservatory furniture suite, comprising two tub chairs and a circular table. 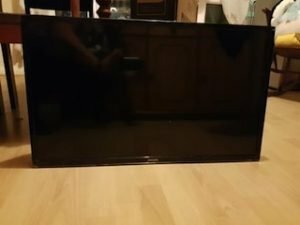 A black Samsung 48 inch flat screen smart television. 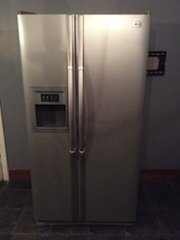 A silver LG two door American style fridge freezer, with built in water and ice dispenser. 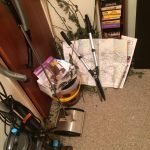 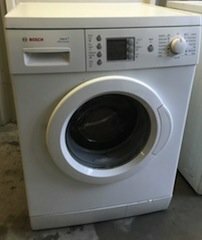 A white Bush 1200 spin 6kg under counter washing machine. 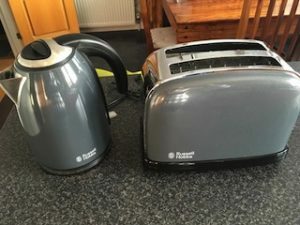 A grey Russell Hobbs two slice toaster, together with the matching kettle. 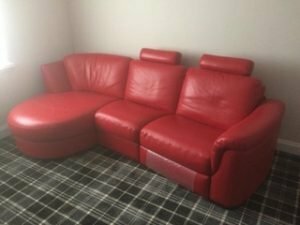 An Italian four seater high back corner sofa, upholstered in vibrant red authentic leather. 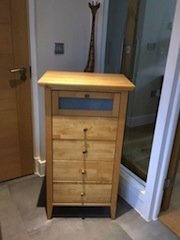 A small solid pine and frosted glass inlaid bedside chest of five drawers.